Now that winter is over, are you looking forward to enjoying the sunshine? 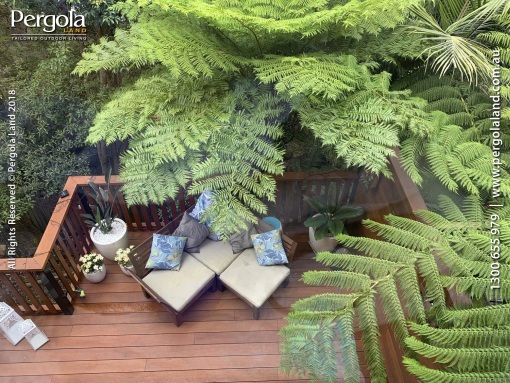 If you find yourself looking out your window to a back garden that’s looking a little bare, it might be time to give it a makeover before summer arrives. A pergola is a great way to not only add a new feature to your backyard for the warmer months, but can provide shade and protection to your patio area all year round. But before the building can start, you’ll need to work out what you want your new pergola to be made from. There’s a few options to choose from, so it make it easy we’ve put together an overview of the three top choices – timber, steel and aluminium. It’s true there are newer building materials for your pergola, timber is still a option while being one of the cheaper and more readily available materials. Wiping down your pergola frame with bleach during damp months to prevent mould from growing. Using a good quality, heat-resistant paint to prevent too much dry heat damage. Repainting your frame at least once every five years, to ensure that the wood is kept in optimal condition. If you don’t want to paint your timber framing because you want a more natural look, treated timber is an excellent material to use. If you’re not fussed on timber as the frame for your pergola, then steel is a great alternative. 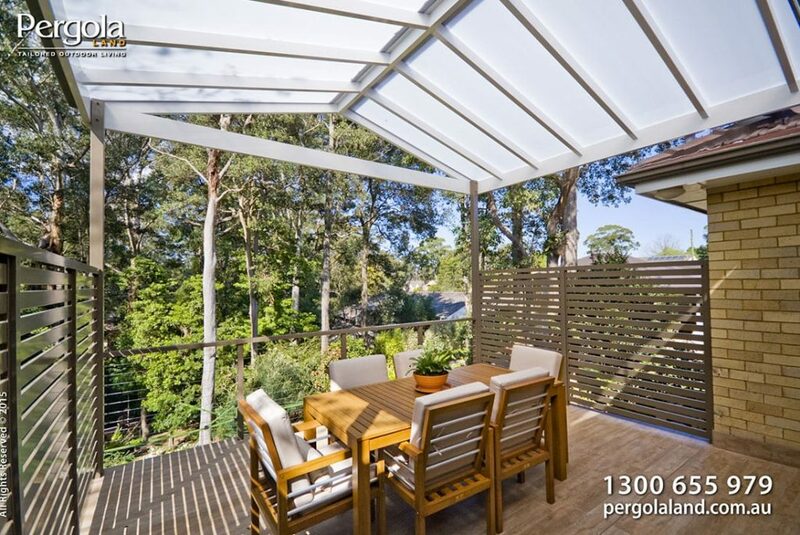 Treated Colorbond steel is the most common type of steel used for beams on pergolas. It’s quick and easy to construct, and Colorbond steel won’t rot or decay so it requires less maintenance than timber. Another benefit of having a steel frame is that it is stronger and more durable than its timber counterpart, meaning that it will generally last longer. However, steel frames can be a lot more expensive than timber, and you will be unable to achieve the natural appearance that timber effortlessly imparts. For maintenance of a steel pergola frame, the primary thing to watch for is rust and corrosion. In order to do this, it’s essential that your steel frame is coated in a 100% zinc coating (also known as galvanised steel) or in a zinc-aluminium combination paint. When it comes to a building material for the outdoors, aluminium ticks a lot of boxes. It’s lightweight, doesn’t rust, and gives you a great, low maintenance finish. And because aluminium is so resistant to natural elements, it’s the best option if you live in bay or coastal areas. The best thing about aluminium is that it is generally maintenance free other than giving it a clean down every so often, so is perfect for those who don’t have the time or the ability to regularly paint the frame. Aluminium can also be painted to match the colour and style of your home, and a wide range of colours are available for this. Whatever your choice of material, at the end you’ll have a new outdoor area ready for use all year round, so get started now to make the most of your backyard.